Showtime released a small clip of the documentary into the life of Death Row Records founder Suge Knight that is set to air on December 21 at 8:30 p.m. It is directed by Antoine Fuqua and shows that he is the equalizer in the streets of California. The doc shows when the days of Death Row Records and how he was a pioneer of the industry by having 2Pac, Snoop Dogg and Dr. Dre onto his label in the mid-90s. You also get in-depth, never before scenes interviews from behind bars. 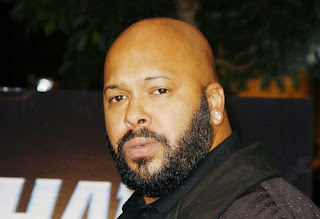 Suge Knight wanted to be the American Dream in the rap game. You will hear that he was asked if he was behind Biggie’s murder and many more answers. Peep the small clip and see if you had tuned in. Get an uncensored look into the life of notorious rap mogul Marion "Suge" Knight.